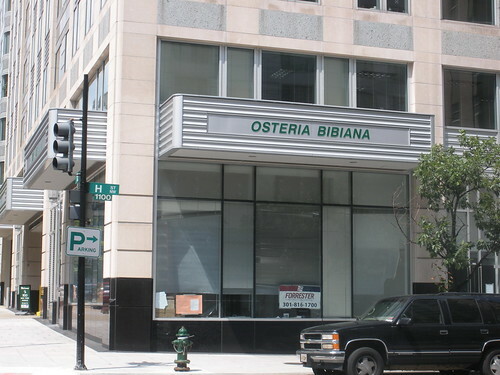 New restaurant, Osteria Bibiana, is coming to 1100 New York Ave, NW though it looks like the entrance will be on the back side on H Street, NW. 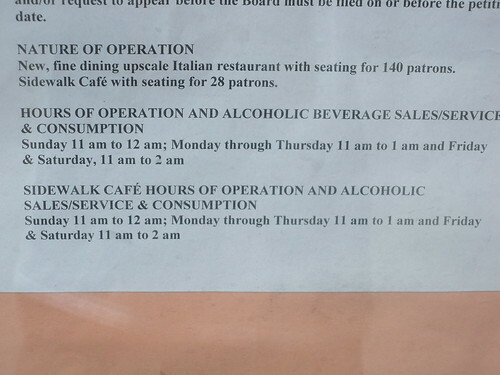 It will be an “upscale Italian Restaurant” with a sidewalk cafe. I’m always happy to have more Italian options!